Welcome to the Cobblestone Hotel and Suites in Harborcreek, Pennsylvania. Our beautiful hotel is conveniently located near everything that Harborcreek, Pennsylvania has to offer including The Behrend Campus Pennsylvania State University. 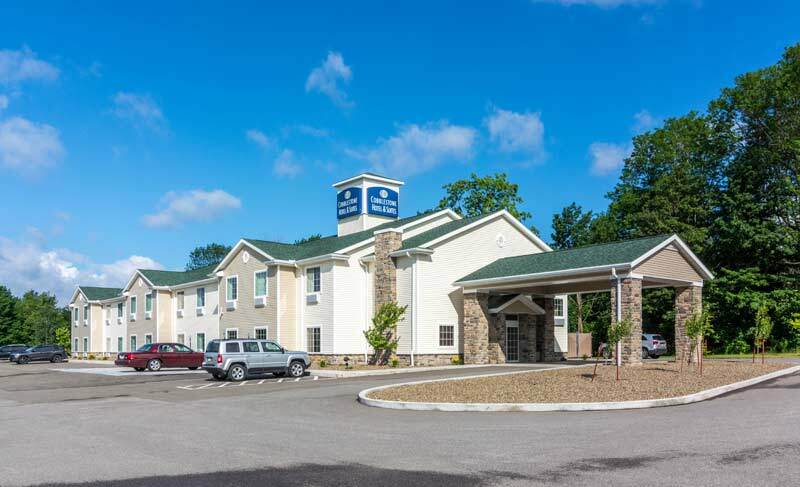 Our hotel provides easy access for traveling to and from Pennsylvania Route 290 and 430. We are located off of Interstate 90 and within minutes of Erie, Pennsylvania. In town for business? The Cobblestone Hotel & Suites of Harborcreek, Pennsylvania offers easy access to CMI Energy, Jameson Publishing, VertMarkets, Erie Research and Economic Development Center, Cybersonics, Indeck Keystone Energy, Essentra Components, Erie VA Medical Center, Shriners Hospital for Children, Sarah A. Reed Children’s Center, Welch’s, GE Transportation, and much more! In town for some fun? Check out Harborcreek Historical Society, Harbor Ridge Golf Course, Downing Golf Course, Gospel Hill Golf Course, Six Mile Creek Park, Presque Isle Downs & Casino, Arundel Cellars & Brewing, Courtyard Winery, Heritage Wine Cellars, Mazza Vineyards, Presque Isle Wine Cellars, Quincy Cellars, Waldameer Park & Waterworld, and more. If you’re hungry, check out nearby Harbor House, Panera Bread, Tim Hortons, Bob Evans, and Applebee’s.